Kourtney Kardashian has moved her shocking feud with sister Kim to social media and also took a swipe at sister Khloe and momager Kris Jenner. Kourt and Kim can’t seem to get over their tense fight over arrangements for their annual Christmas card. 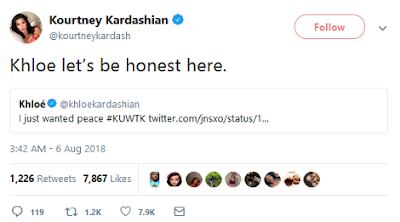 After being trolled by fans following the release of a Keeping Up With The Kardashians preview ahead of the season 15 premiere, which showed their heated exchange – Kim is now arguing with Kourtney on Twitter for all to see. In the teaser clip, Kim called her older sister the ‘least exciting’ to look at after the siblings clashed over last year’s photoshoot. 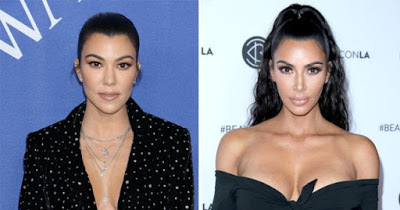 It’s fair to say the argument was an ugly one and as fans watched season 15 kick off with an explosive premiere mum-of-three Kim ripped into Kourtney for ‘messing up’ plans for the family photo shoot. Now, you would assume that the pair have since kissed and made up but it looks like revisiting the scenes has sparked some new tensions right as the show premiered in the US overnight. Kourtney, not one to back down, hit back: ‘And I do. But I wasn’t wanting MORE work, I already felt spread thin. And then in came Khloe, who tried to play the peacemaker. 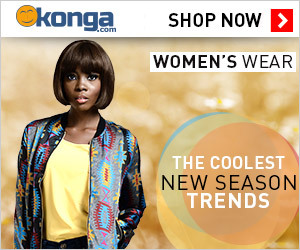 But Kourt, mum-of-three, was not having a single bar of it. ‘Khloe let’s be honest here,’ Kourt replied unamused. 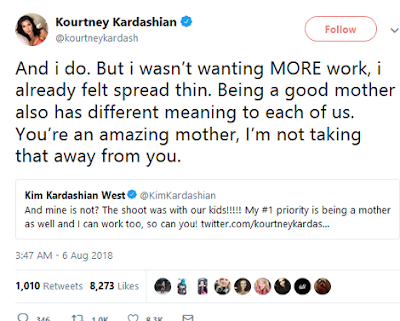 And then Kourtney, not finished with dragging her two younger sisters pulled in mama Kris, saying that she was disappointed with how she handled her children’s disagreement. Well, Khloe you might be finding this funny enough to type ‘LOL’ but Kourtney is clearly in her feelings about it all. Kourtney told E! News on Friday that she is still working on her issue with her siblings. ‘Honestly, I think it’s ongoing. I’ve been really working on myself a lot and I think through my growth, I’m better at expressing myself,’ she said.